Approximately 7,800 people live in Old Town; a little over 10,000 people are in Orono and there are also over 11,000 University of Maine students who attend classes there. Old Town, Orono, and the University of Maine lost a funding battle against Time Warner Cable in 2015. That incident dealt with an area where only about 320 potential subscribers could be served with approximately four miles of fiber. A recent $250,000 grant from the Northern Border Regional Commission put the consortium back on track to finish that project. OTO Fiber is now gathering more information about where to best deploy a broader network; they have funding for about six miles of fiber in each community. A fast, reliable, affordable connection can promote job growth and keep college-age talent in the region. Residents can look forward to symmetrical high-speed connections (the same speeds on the upload and the download) that will open the door to improved video streaming, telemedicine, virtual reality gaming, and a number of other high bandwidth technologies. 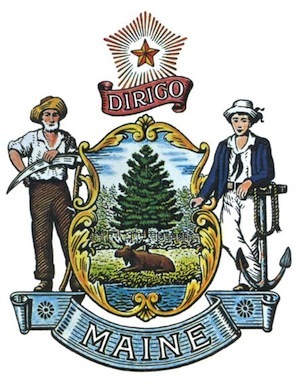 The local towns' networks will connect to Maine’s Three Ring Binder middle mile dark fiber open access network.